With the new term having just started in the UK, we wanted to create a new site for all the students who use Sportplan. Not only will this help support them as they progress through the GCSE and A-Level curriculum but it will also save them time thanks to the more user friendly website. Using the student package you can get a whole class to log in simultaneously for group learning; as well as provide them with their own personal workspace during lessons or for homework (perfect for those offering as a performer or a coach). Through your school's student package you can log into Sportplan. After logging in, as a student, you will be asked to sign into your individual student profile. The new student profile links all your content together and gives you access to more student specific tools. To create your profile, simply provide your name and a passphrase, you'll need to remember this! 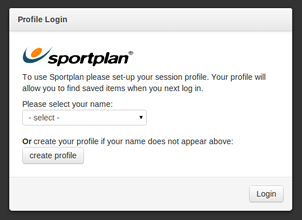 Next time you come back to use Sportplan, you'll see your name in the sign in options so you'll just need to enter your passphrase to get back into your work. Once signed in to their profile, students can view drills, create sessions, draw sketches and browse questions and answers from coaches all around the world. The new student site should be a great improvement for all our young coaches in development! 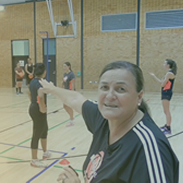 For more information about the Sportplan student account please download our information pack.